SOS was awarded the Luciad Geospatial Excellence Award for Top Developer at the Luciad INTERACT 2017 User Conference earlier this month. 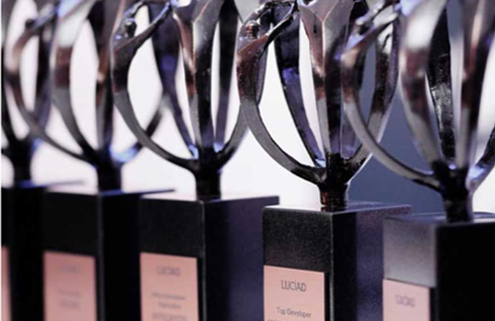 The Luciad Geospatial Excellence Awards acknowledge and celebrate the most ground-breaking applications of geospatial technology. The award was accepted by SOS’s Chief Scientist Dr. Darren Butler, who leads the GeoFOCIS product line at SOS. 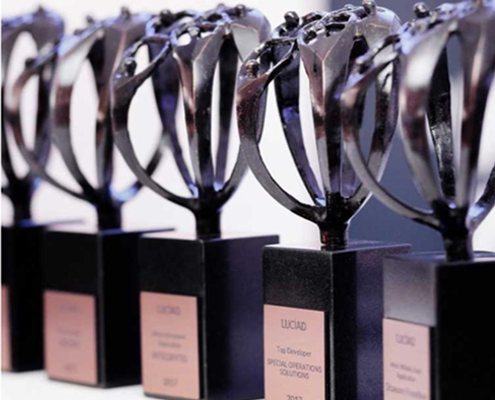 SOS received the award for our pioneering work on GeoFOCIS, our custom-developed moving-map display and geospatial database that can accommodate the visualization and draping of feeds from multiple data sources over 3D landscapes without sacrificing performance. To learn more about GeoFOCIS, visit our website!